Agreement that these are essential goals has also been accompanied by disagreements about how to conceptualize or apply them in different cases or contexts. Using these seven goals as an organizing principle, this handbook presents different approaches to achieving each one, drawing on academic literature, policy documents and practitioner experience. 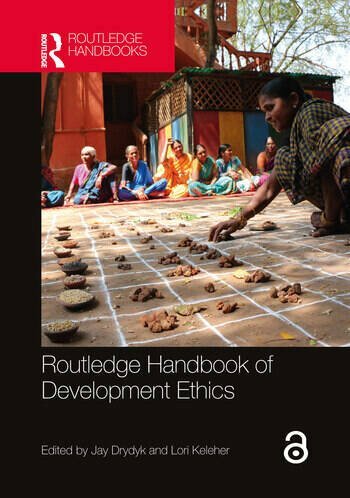 This international and multi-disciplinary handbook will be of great interest to development policy makers and program workers, students and scholars in development studies, public policy, international studies, applied ethics and other related disciplines. Jay Drydyk is Professor of Philosophy at Carleton University, Ottawa, Canada, Past President of the International Development Ethics Association and Human Development and Capability Association Fellow. Lori Keleher is Associate Professor of Philosophy at New Mexico State University, USA. She serves on the board of the International Development Ethics Association, as well as on the Executive Council and as a Fellow for the Human Development and Capability Association.